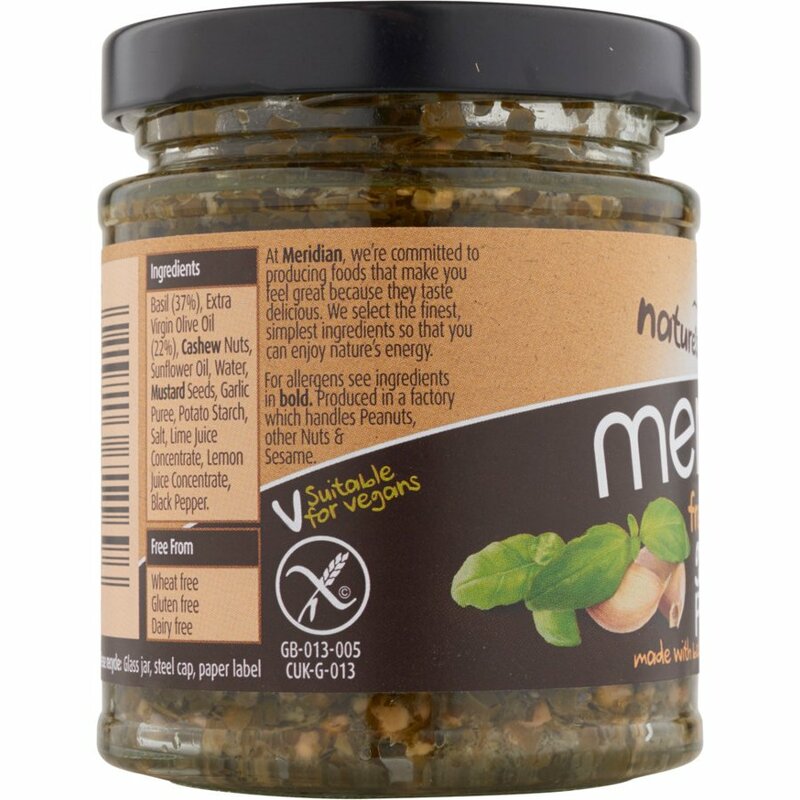 This delicious pesto is made with the finest natural ingredients including, cashew nuts, basil, extra virgin olive oil and garlic, making an intensely rich pesto, perfect to mix in to pasta, rice or vegetables and to spread on sandwiches, toast or crackers. Typical Values per 100g, Energy 2133 kJ 510 kcal, Fat 51.6g, of which saturates 7.3g, Carbohydrate 6.2g, of which sugars 1.9g, Fibre 2.7g, Protein 5.1g, Salt 1.0g. Once opened, refrigerate and consume within 2 weeks. Wheat, gluten and dairy free and suitable for vegans. 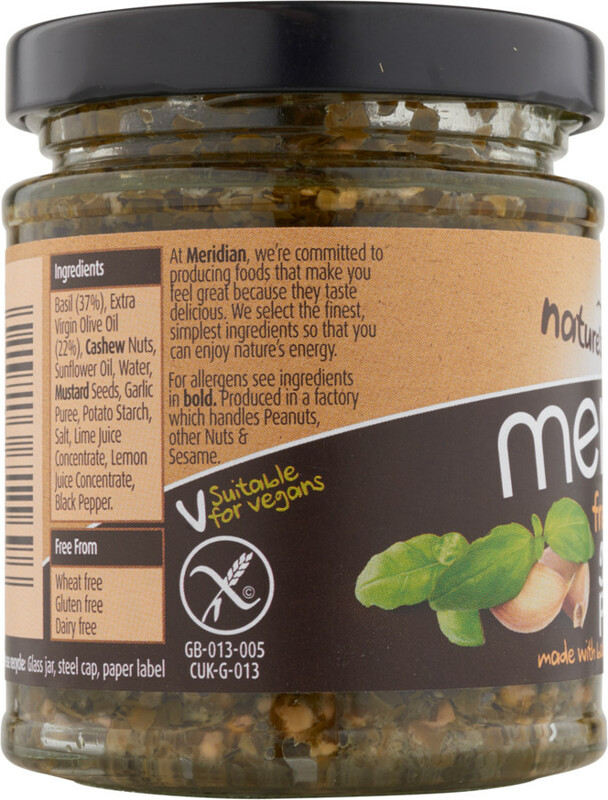 Basil (37%), Extra Virgin Olive Oil (22%), Cashew Nuts, Sunflower Oil, Water, Mustard seeds, Garlic Puree, Potato Starch, Salt, Lime Juice Concentrate, Lemon Juice Concentrate, Black Pepper. Product contains Nuts and Mustard. Not suitable for other nuts or sesame allergy sufferers. 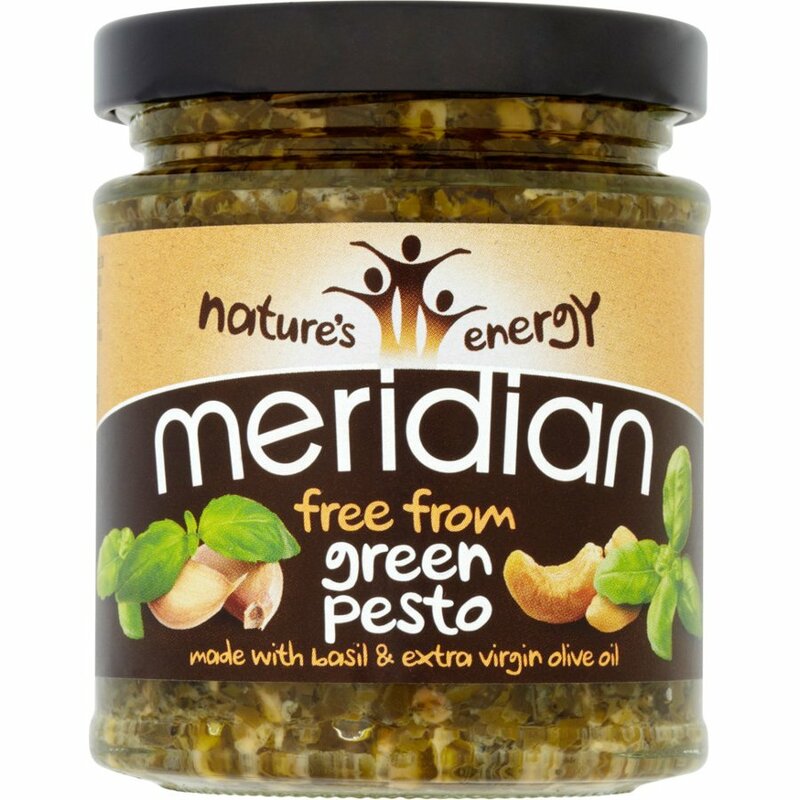 The Meridian Free From Green Pesto 170g product ethics are indicated below. To learn more about these product ethics and to see related products, follow the links below. 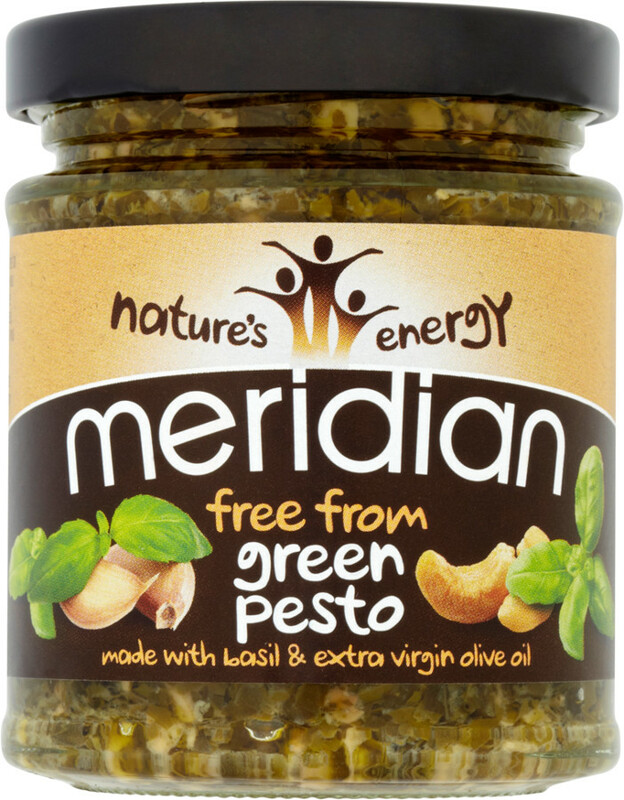 There are currently no questions to display about Meridian Free From Green Pesto 170g.